There are two reasons why the Curtis CAFE1DB and CAFE2DB Commercial Pour Over Decanter Brewers are the cat's meow. 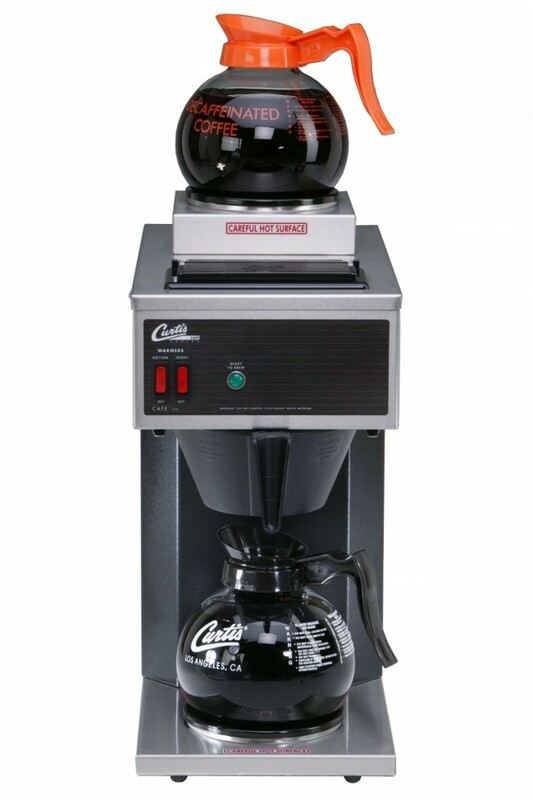 First, Curtis has automated a labor intensive specialized gourmet brewing process that makes some of the most delicious coffee that can be brewed. Second, it does not require additional plumbing as the large volume water tank can be filled with a carafe. Perfect for oddball locations where you have counter space but no plumbing handy. Pour Over Preparation: Makes delicious coffee, no additional plumbing required. 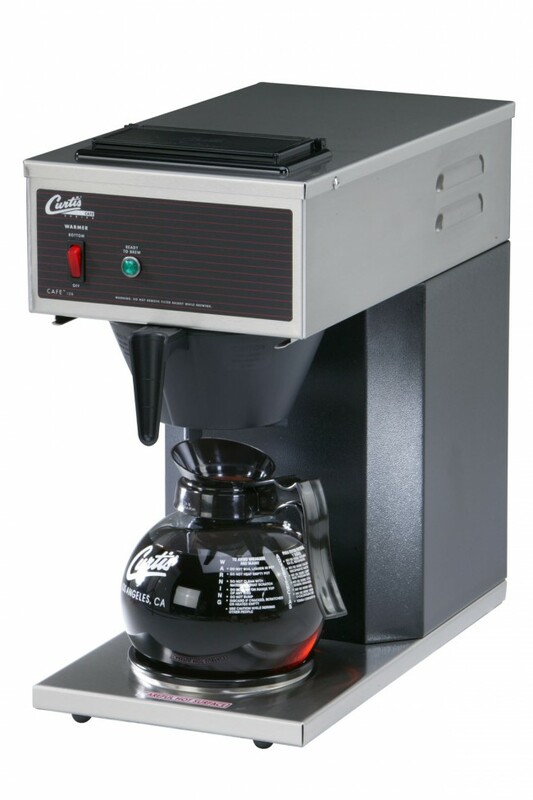 Powerful Heating: Takes a labor intensive gourmet brewing process and automates it. Outer Space: Put this compact unit anywhere it fits regardless of plumbing. Reservoir: Large tank saves time, doesn't require a visit from the plumber. Easy To Clean: Stainless steel coated in a quick clean black vinyl coating. 3 Years, Parts and Labor, from Original Date of Purchase on digital control boards. 2 Years, Parts, from Original Date of Purchase on all other electrical components, fittings and tubing. 1 Year, Labor, from Original Date of Purchase on all electrical components, fittings and tubing. Who Supports the Warranty: Wilbur Curtis Company Inc.